Now this is a recipe my whole family can agree on! Yummmmmm…I want one of these right now!! Barbara those are just heavenly looking! Oh yum, I’d love these to be in front of me right now! I want these for breakfast and dessert! When I’m in Paris I can’t go by one of those stands without having to get a crepe. In the winter it’s chestnuts. I’m hopeless. 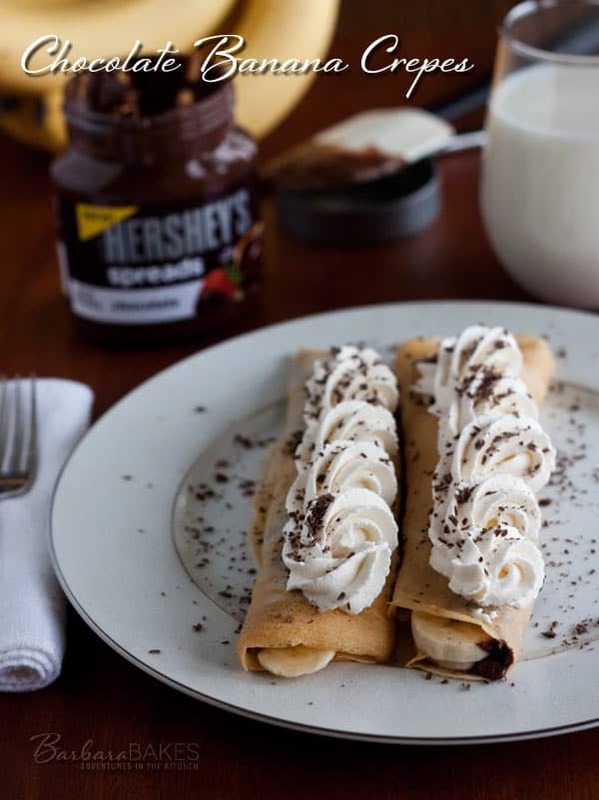 I just posted crêpes, but used cherries and crème fraîche, but chocolate and bananas are on my list for my chocoholics. What a pretty presentation. I love crepes!! There was a restaurant my grandma used to take me to growing up and we would both order the crepes. I’ll never forget that! A warm chocolate-filled crepe is one of my favourite memories of Paris, also. =) Thanks for the reminder! Sharing on Google+ and Pinterest! I could go for a huge plate of these right now. e! 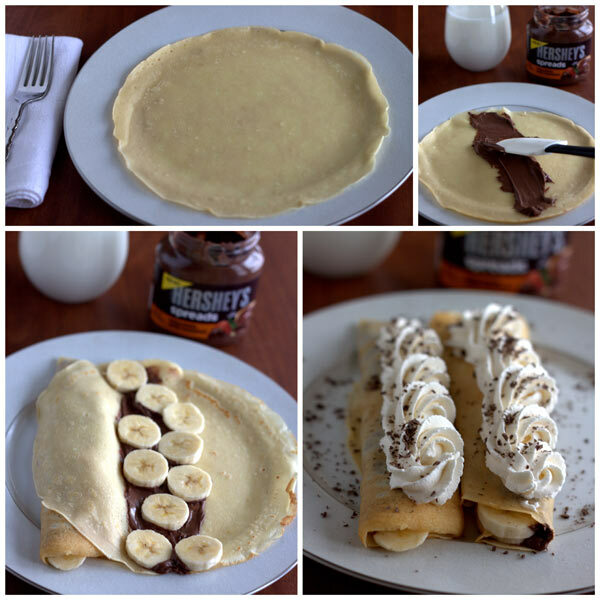 Crepes with chocolate are a must. These look amazing! I’m transported to Paris and am enjoying these wonderful treats 🙂 I don’t even think I would mind if they were messy. 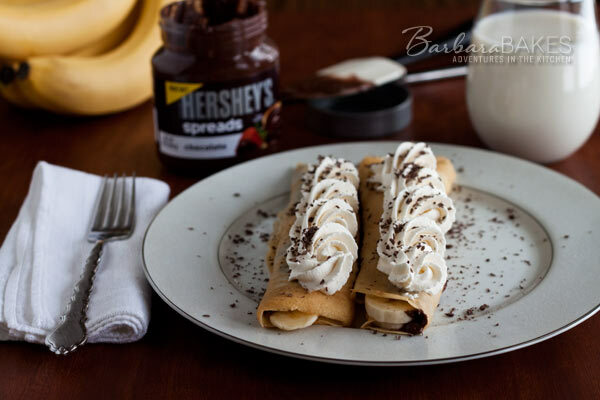 Obviously, I adore crepes, but chocolate, bananas and whipped cream seems so utterly American to me and so wonderful! It reminds me of the best dessert in the best diner. And oooh I would much rather have Hershey’s than Nutella any day. Lovely! Dang, these look soooo good!! I have no words – these just look so incredible! !